Put simply, marketing is the art (or science, if you like) of creating clients, and consequently, revenue for businesses. On the other hand, the IoT is the evolution of the Internet. What do they have in common? Let's see. Briefly, the IoT is the Internet plus people and billions of interconnected devices, of any conceivable size and capabilities, which have even the slightest ability of interacting with their environment and communicating with other devices. The IoT encompass almost every information processing machine on earth, from parallel computer behemoths that produce weather forecasts and drones to the tiny pacemakers in patients with heart problems and remote sensor nodes that monitor environmental conditions. In this blog note, we would like to emphasize the fact that a new paradigm of marketing is emerging, based on the IoT and collective intelligence (or crowd intelligence). This new paradigm takes advantage of the increasing processing power of people's mobile devices which include smart watches, smart phones, tablets, drones and, generally, any kind of electronic communicating device. For instance, today there are smart phones based on multicore processors with unprecedented memory capacities and powerful sensor capabilities. Nowadays, however, microchip developments have made possible the design and construction of devices much smaller than smart phones but with similar computing and communicating power. These include smart watches, drones (which, also, have the advantage of autonomous or directed movement). Beyond usual smart devices such as smart phones and tablets, there are also smart portable devices which are less familiar to the majority of people but are, nevertheless, rich in sensing, communicating and computing capabilities. Current technology makes it possible to, also, integrate a number of the sensors into miniature PCBs, comprising autonomous sensor nodes capable of detecting, sampling and transmitting a large variety of external stimuli. 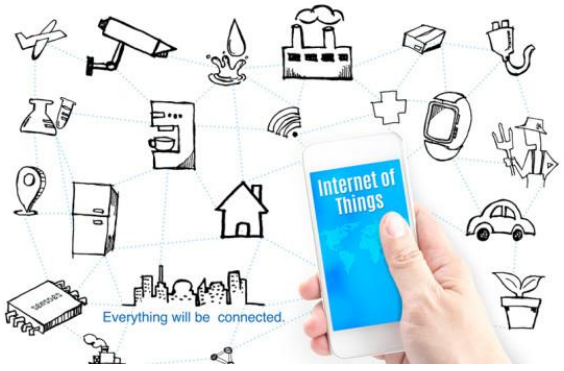 But how the IoT and its unimaginable communication and data processing potential blends, together, with marketing? What is the crucial IoT characteristic that can bring real value to marketing? I believe the answer is, simply, the IoT's ubiquity in people's everyday lives. The IoT, literally, permeates time and space, and gets diffused over almost any inhabited (an uninhabited through satellites, for instance) places, giving to the marketer the unique opportunity to "follow" the consumer in his/her daily habits, mobility patterns, and preferences. Suppose that you are a marketer looking at how you can put the IoT in action for you. How about the following scenarios? Paul is a marketing analyst working at the IT equipment company Orange. His goal is to investigate the market potential of Orange's upcoming new computer, OR11, a model that will be launched in the computer market within the next three months. In order to conduct his investigation, he has developed a survey questionnaire targeting people from 25 to 45 years old. He uses the IoT capabilities to specify the study (i.e. enter the questionnaires in an electronic form) and the target population characteristics. The questionnaire includes questions such as "Do you already have an Orange computer?" and "What is your opinion on the upcoming OR11 model?" and "Would you buy the new OR11 computer?". He also uses Location Based Services in order to notify participants whenever they are close to a store offering Orange's products in order to see an early prototype of OR11 where they will be also asked, in real time, by the shop owner about their impressions from the new computer. As an incentive to visit a nearby shop and complete the questionnaire on-line, they are given electronic coupons for a 15% discount for their next buy of an Orange IT product. Based on the IoT data gathering capabilities and the gathered information, Paul is able to produce a detailed study on the market potential for OR11 while he extracts the supporting information from the IoT tools along with graphical presentation of the survey results. Using the proposed approach, Paul has access, in an easy and fast way, to numerous participants which will provide him with valuable data for conducting his marketing research on the market potential for the new OR11 computer. Steve is a marketing researcher in the advertising industry. He is interested in knowing the gathering places, walking routes, driving routes, train journeys of various demographic groups in order to identify the optimal deployment of advertisements on billboards and on-train ad spaces that his company owns. He would like to track the movements of users as they go about their daily lives. He does not wish, of course, to know individual identities but only broad general demographic profile information of each user. Jenny is a marketing researcher in the clothes industry. Her goal is to identify the relationship between the colours of the shop (e.g. colours of the walls and the shelves) and the volume of the customers' purchases over four months in order to determine the optimal colours for the shop surfaces and maximize revenue. Naturally, she is not interested in knowing individual identities but only general information on how colours affect their buying behaviour. Sarah is a PhD student working in Marketing Management in the food industry. She is interested in knowing the selling policies that supermarkets follow for placing products on their stores' shelves. The goal is to discover which (perhaps long-term) marketing strategies determine these selling policies. She would, also, like to track the movements of users within stores to understand whether the adopted selling policies affect the customers' behaviour. She is not interested in knowing individual identities but only the general movement and shopping profiles of customers. Mark is a marketing researcher in the clothing industry. He is interested in knowing the best level of the shops' temperature in order to maximize the sales total amount in a given period. He would like to track the different perceptions of the potential customers inside shops at any change of temperature. He does not wish to know individual identities bad only the broad perceptions of each user. George is a Chief Marketing Officer in the toy industry. His goal is to test whether the light colour and its intensity in his stores chain affect the sales volume and how. He intends to use this information in order to propose actions that may lead to an increase in sales in toy stores. Thus, he would like to track the different perceptions of people inside the store, during changes in the light colour or intensity. Of course, he does not wish (or need) to know people's identities but only their broad general perceptions and reactions. Well, OK, let's assume that we are convinced that the IoT appears to be a valuable tool, comprising the "eyes" and "ears" of the marketer and enabling him/her to understand his/her potential customer's behavior. This, in turn, helps him/her determine their needs and preferences as they move around in his/her daily life. But one may protest here that this sounds like a "big brother" situation! Massive security and privacy breaches in social media and services provided by big, respectful, Internet players as well as rising cybercrime incidents appear to be in their prime today. 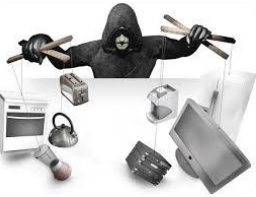 And, especially, after the shocking revelations made by Snowden that we are all, actually, potential surveillance targets, all people have become suspicious about participating in massive experiments, such as the one our marketers may have in mind in connection with the IoT. In the scenarios above we emphasized the fact that there is no need to know peoples' identities. Then, what should we, marketers, do? Well, at least we should try to fortify the marketer's IoT-based tools, security and privacy-wise, and provide evidence to people that the marketer really cares about his/her personal data security and privacy. Technologies exist today (e.g. Privacy-ABCs, based on technologies of, both, IBM and Microsoft) that ensure people's anonymity while certifying, only, the characteristics that people themselves wish to reveal to, e.g., a marketing researcher's platform to aid his/her marketing research. The IoT is an unprecedented tool in the hand of every professional. At least, we marketers, should try to exploit its potential by creating innovative marketing research technologies and methodologies, designing suitable IoT-based marketing research scenarios such as the ones outlined above. Last, but not least, we should show to people that, beyond asking his/her valuable data, we care about his/her security and privacy.